Beautiful white gold bezel set amethyst post earrings. These amethyst post earrings are eager to be worn! Bright and colorful, perfect with that sophisticated up-do or the playful down look! 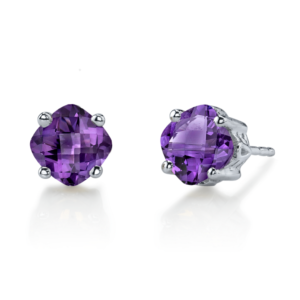 Be the first to review “Amethyst Bezel Earrings” Click here to cancel reply.